DIVORCE FOR DUBAI EXPATS : CAN SHARIA LAW WORK FOR YOU? As a UK and Sharia law divorce lawyer based in Dubai, I am often contacted by British expats wondering what the best country for them to divorce in, is. To the inexperienced lawyer, who has limited knowledge of Sharia law, England and Wales would be the first port of call. Yet, depending on your assets and family circumstances you may obtain a better financial outcome, by issuing your divorce in the UAE. What's crucial is that your divorce lawyer is able to leverage your position through Sharia law to your advantage, whichever Court you eventually get divorced in. This is why your choice of lawyer is important. 1. As a British citizen living in Dubai, I am not allowed to divorce in the Dubai Court. False – As long as you reside, work, or are domiciled in Dubai, you can start divorce proceedings in the Dubai Court as the Court would have jurisdiction. The same is valid for all other emirates. 2. A divorce obtained in the Sharia Court in Dubai is not recognised in England. False – As long as the Dubai Court has jurisdiction, a divorce pronounced by the Court is valid in England and Wales. The fact that it was pronounced by a Sharia Court does not matter. 3. The Dubai Court only applies Sharia law. False – In case of contested proceedings, parties can request for their “home country” laws to be applied. 4. As a working mother, if I get a divorce through the Dubai Courts, I will not get anything. False – The Sharia law system has one of the most generous child maintenance systems in the world. In my next blog, I will address the advantages of obtaining a divorce through the English Court for a Dubai resident. 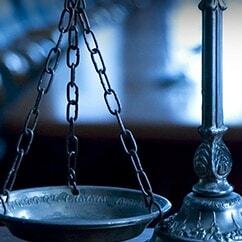 *This blog contains general information about legal matters. The information is not advice, and should not be treated as such.